Technologies for Tomorrow has been designed as a platform where top innovators from across geographies and verticals get an opportunity to share their vision of how their products and services will impact our future. 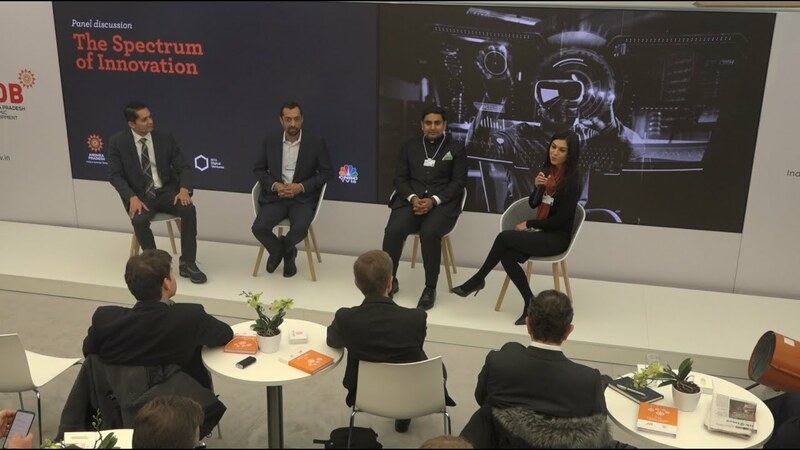 With a view to connect with discerning audiences of investors, CEOs, civil society representatives and media, the first three editions starting 2017 were held at Davos. Buoyed by the response, we now propose to take Technologies for Tomorrow to other cities in India and overseas, especially to educational institutions - hoping to inspire the next generation of innovators. Choice of host cities will also depend upon emerging market opportunities for visiting innovators. 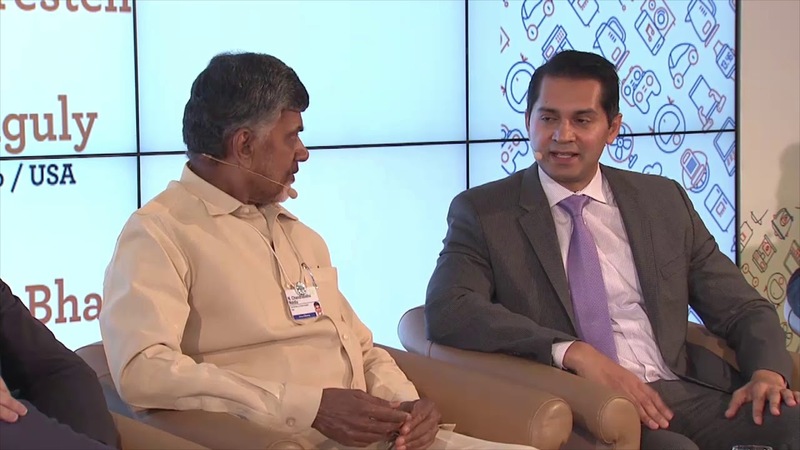 We remain thankful to Mr N Chandrababu Naidu, Technology Evangelist and Chief Minister of the Indian State of Andhra Pradesh for his unstinted support and encouragement; and to BCG Digital Ventures and CNBC-TV18 for their partnership at Davos starting 2018. Valerie is leading a tech start-up that commercializes an innovative wind turbine inspired by advances in aerodynamics and jet engine technology. Previously, Valerie worked with McKinsey as an associate Partner in the high tech practice, served as Policy advisor to the united Nations ITU and as adjunct Faculty at Free university Berlin. She holds an MSc.and M.A. from the university of Muenster, Germany; a Ph.d. from Free university Berlin; and an Executive Certificate in Technology & Operations Management from MIT. 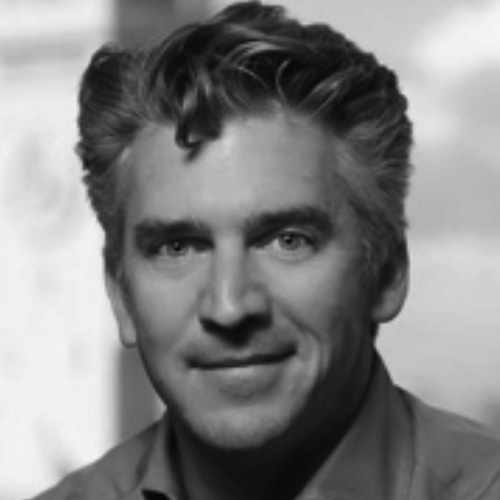 Through Organovo, Dr. David has played a critical role in the commercial translation of 3D bioprinting. Previously, he was associate partner at McKinsey & Company, where he served private equity, pharmaceutical, biotech, diagnostic, and medical device clients to support pipeline and R&D strategy, as well as market entry strategy. He was also Assistant Professor at the Rogosin Institute; adjunct faculty at the Rockefeller University; and a lecturer in Medicine at Weil Cornell Medical College. Privahini's electronics recycling firm harvests valuable metals out of e-waste. She represented BlueOak on the Obama Administration's task force for e-waste. 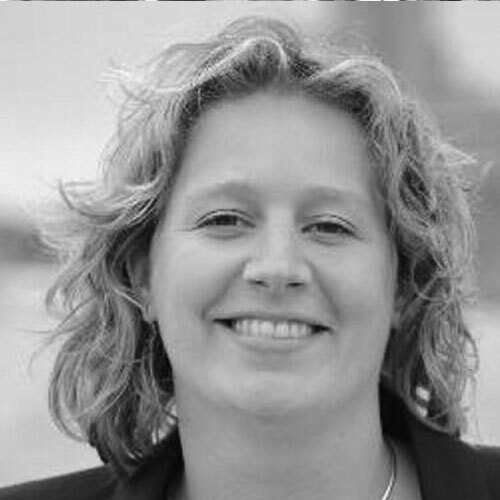 She has led business development at numerous cleantech start-ups, including LanzaTech & Microvi. Previously, she was a management consultant at BCG and a faculty adviser at Singularity University. Privahini was awarded the Fulbright Platinum Scholarship to complete an MBA at Harvard Business School. Matthew heads an initiative that uses bioelectric technology to cost-effectively clean wastewater and generate significant clean energy. He has sixteen years of experience in engineering design, entrepreneurship, and business strategy. He is co-inventor on several awarded patents, author of over 25 research publications, and testified before the US Senate on early stage innovation in 2011. Through HealthTap, an interactive health company, Ron is reinventing the way people take care of themselves by enabling quick and quality access to medical services. He is also the Curator of TEDx Silicon Valley, an angel investor and advisor to health and technology companies, Rock Health, Stanford's Medicine X, and Harvard Medical School's SMArt Initiative. The World's First Regional Operating System in English and 12 Indian regional languages, Indus OS' growth & expansion has Rakesh's driving force behind it. It is India's #2 Mobile OS ahead of global giants like Apple's iOS & Microsoft's Windows. An IIT Bombay alumnus, Rakesh is a serial entrepreneur and has over 10 years of experience in the Mobile Technology industry. Ginger.io is a leading digital mental health management offering. Anmol has published extensive research in modelling largescale human behaviour data using statistical models and pattern recognition technology. He received his PhD from MIT in the Media Lab with Alex Pentland. 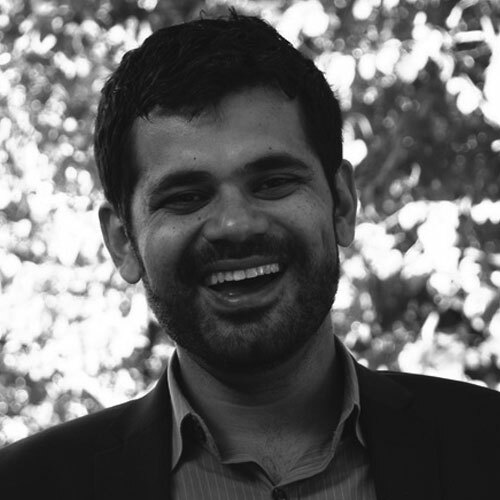 Madan is a frequent international speaker on behavioural analytics, machine learning, data privacy and healthcare entrepreneurship. Marjolein's company aims to develop products based on the technology of producing electricity from living plants. Founded during her PhD research at Wageningen University in 2012, Plant-e successfully launched its first two products in the market in 2014. Marjolein is a regular speaker on the issue of sustainable energy at a number of international events. Sedicii has patented a technology that enables users to consume digital services by proving their identity for KYC without exposing their private data to the risk of identity theft. 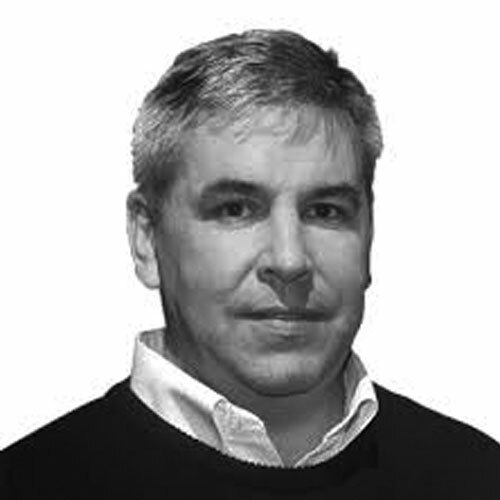 Rob has a successful track record of establishing and growing businesses to considerable scale and was part of the original management team in Dell Japan that established and grew the business to almost 300 employees and $300M turnover in 4 years. He is a co-founder of Kyckr (aSX:KYK) which listed on the Australian Stock Exchange in September 2016 and provides organizational identity services for KYC & AML services to banks and other regulated financial institutions. Prof. Dutta has formerly been on the faculty of INSEAD, a leading international business school in France and Singapore. He is an authority on the impact of new technology on the business world, especially social media and social networking, and on strategies for driving growth and innovation by embracing the digital economy. He is the co-editor and author respectively of two influential reports' the Global Information Technology Report and the Global Innovation Index. Mr. Naidu's previous stint as Chief Minister of Andhra Pradesh lasted an entire decade from 1994-2004. He is considered a rare politician and a visionary who pursues his innovation strategies with great vigour and determination. His approach towards development is non-doctrinal and he believes in absorbing good aspects of various development models. An able and an efficient administrator, he introduced many market-based reforms in 1995 while also formulating many unprecedented populist schemes. In his third term as Chief Minister, he has set international benchmarks in e-governance. 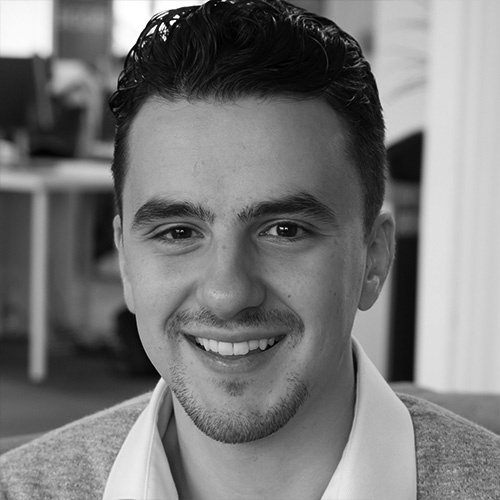 Husayn Kassai is the CEO and Co-Founder of Onfido, prior to which he served as the President of the Oxford Entrepreneurs Student Society along with Co-Founder Eamon Jubbawy. Onfido uses machine learning to deliver next-generation identity verification, helping businesses and banks, verify identities online using ID documents, facial recognition and database searches. Founded in 2012, Onfido has grown to a team of 150, received over US$ 60 million in investment and works with over 1,500 companies globally. 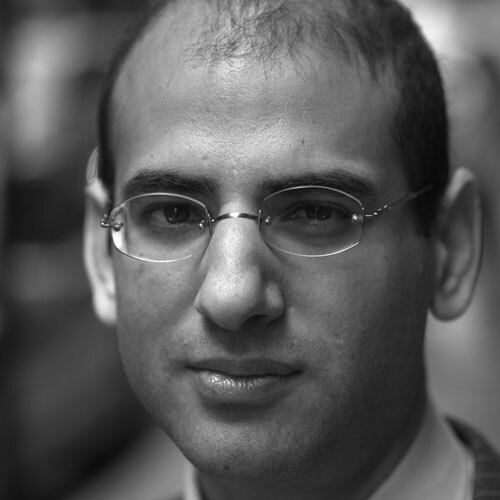 Recognised by WEF as a Technology Pioneer in 2017, Husayn sits on the Advisory Committee of Oxford Seed Fund and the All Party Parliamentary Group on AI. He has a BA in Economics and Management from Keble College, Oxford. 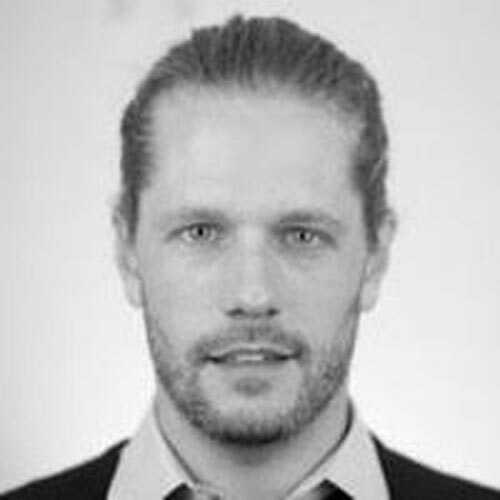 Andreas Kunze is the CEO and Co-Founder of KONUX. He studied Information Systems at TUM and Stanford University. 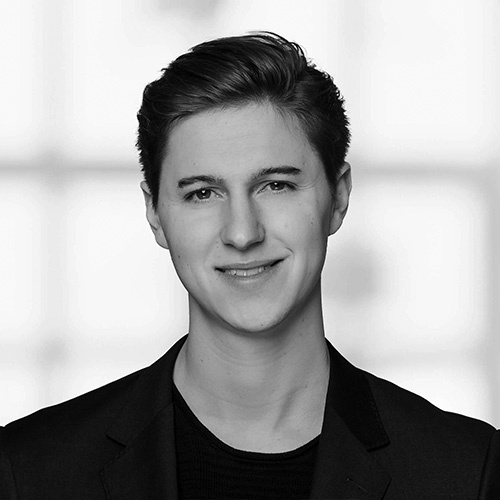 In 2016, Andreas was the youngest CEO to be on the '40 under 40 Entrepreneurs' list of Capital Magazine. In early 2017, he got selected among Forbes' "Top 30 under 30 - Europe". His AI company KONUX has raised US$ 20 million with leading Silicon Valley investors such as Andreas Bechtolsheim. KONUX won the National Mobility Award "Deutscher Mobilit'tspreis" and the German Digital Award "The Spark" in 2016 and was selected as one of the World Economic Forum's "Technology Pioneers" one year later. Praful has helped scores of teams across Fortune 500 enterprises and Government agencies automate tedious, boring, repetitive tasks using cognitive computing (AI + NLP). He founded Coseer after a long career in hedge funds with the vision that humans should focus on creativity, judgment and strategy, while technology takes care of everything else. He is an alumnus of McKinsey, Harvard, and IIT, and lives in San Francisco. As an expert in the fields of cognitive computing and artificial intelligence, Praful is frequently invited to speak at conferences around the world. Jack Forestell is the Global Head of Merchant & Acquirer Solutions at Visa Inc. where he is responsible for leading Visa's global merchant and acquirer strategy, developing merchant- focused products and solutions that provide tangible value, create operational efficiencies and assist merchants in meeting their business goals across more than 200 countries and territories around the globe. Prior to this role, Jack was Global Head of Product, responsible for Visa's global product strategy, development and management. 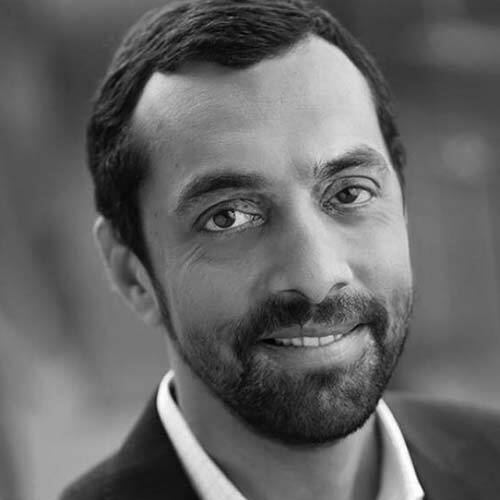 Raj Ganguly focuses on creating exponential growth by bringing together thought leaders, technology and capital. Previously, he has co-founded and served as a Managing Partner at Velos Partners. 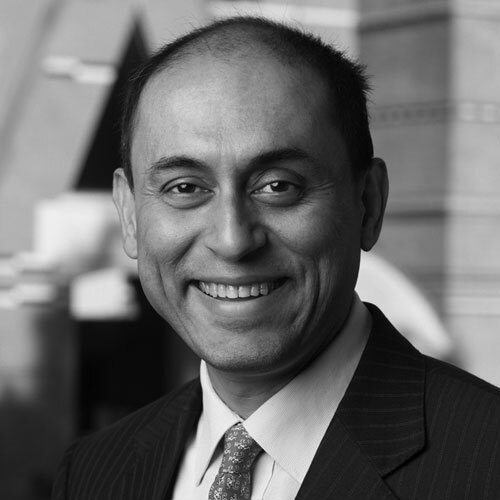 Prior to founding Velos, Mr. Ganguly spent six years at Bain Capital investing, driving operational excellence in consumer-focused companies across the U.S. and Asia. Earlier in his career, he was with McKinsey & Company, Diageo plc. and Miradiant, one of the first Internet payment startups. Mr. Ganguly earned an MBA from Harvard Business School, a BSE and BAS from the University of Pennsylvania's Wharton School and School of Engineering and Applied Science. 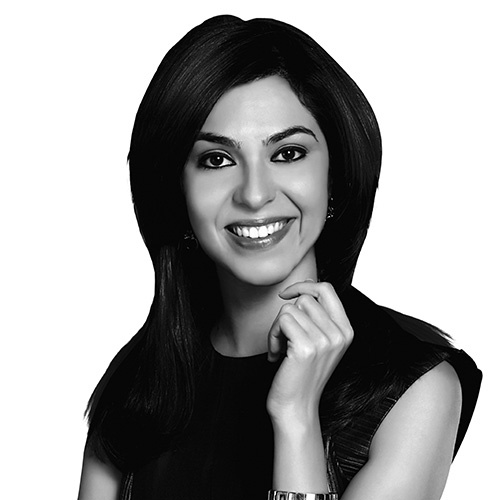 Shereen Bhan is a World Economic Forum Young Global Leader and the Managing Editor of CNBC-TV18. She has been responsible for breaking a range of news stories that have redefined the Indian economic landscape in recent times and has also interviewed some of the biggest names in business and politics. Shereen is also the Anchor & Editor of "Young Turks", one of India's longest-running shows on entrepreneurs - a section that over the past 13 years has successfully built a niche category in business news programming. 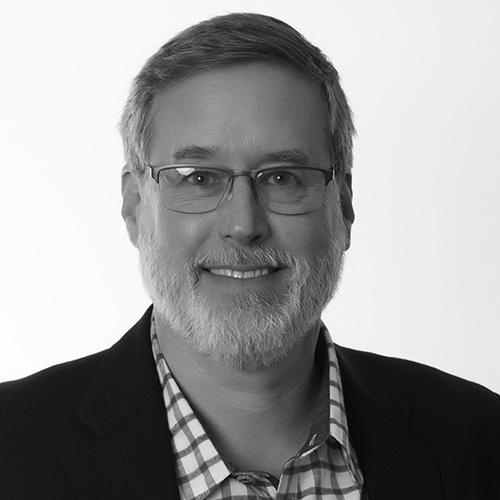 Mike serves as a Partner and Managing Director with BCG Digital Ventures. Mike initially led DV's Asian business. He also built BCG Digital Venture's global blockchain capability, founding DVolution, a pioneer blockchain technology. Mike has served on boards, and both invested in, and provided advice to digital start-ups. He served as the CEO of Student Edge and co-founded Genos, the emotional intelligence company. Mike holds an M.S. in Computer Science from the University of Technology, Sydney. Mr. Naidu's previous stint as Chief Minister of Andhra Pradesh lasted an entire decade from 1994-2004. He is considered a rare politician and a visionary who pursues his innovation strategies with great vigour and determination. His approach towards development is non-doctrinal and he believes in absorbing good aspects of various development models. An able and efficient administrator, he introduced many market-based reforms in 1995 while also formulating many unprecedented populist schemes. Now, in his third term as Chief Minister, he has set international benchmarks in e-governance. Niama El Bassunie is the CEO of WaystoCap.com. Niama started her career at PwC, in the Energy Markets and Valuations team in London; working on projects for the US State Department in Afghanistan, and the national gas company of South Africa. Subsequently she set up her first venture in green energy, importing used cooking oil into the EU, for use in transportation. Niama was an economic adviser to the Togolese government, when working on a project with Sir Paul Judge (the founder of the Cambridge Business School). Niama spent time in Guinea working with the government and policy makers to clear the port of Conakry of scrap metal. Currently, Chief Executive Officer of WaystoCap, the first Moroccan company to be backed by Y Combinator and the first North African company to be selected as a Technology Pioneer by the World Economic Forum. Niama holds Masters in Decision Sciences and International Relations from The London School of Economics (LSE), and is a Chartered Financial Analyst (CFA). She has been a speaker and panelist at events in the US, Africa, and the Middle East; and is frequently cited as an example of a success story in MENA and Africa. Viola Llewellyn is the co-founder and President of Ovamba Solutions Inc. Ovamba is an award winning African 'FinTech' company that creates culturally attuned technologies to serve African SMEs with innovative Sharia compliant finance products in Africa's trade and commodities sectors. Andras Forgacs is a serial entrepreneur in deep tech and life sciences. 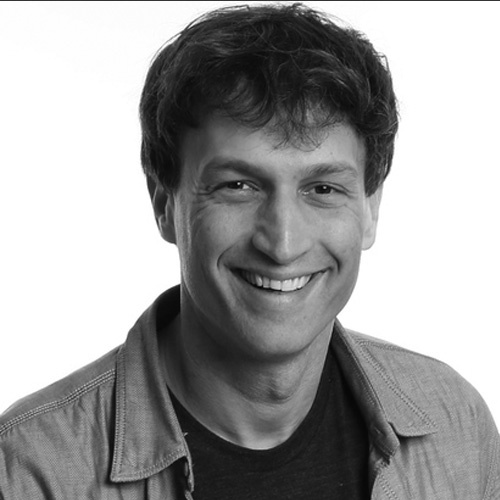 He is founder and CEO of Modern Meadow, a pioneer in biofabrication working to transform the world of materials by unlocking the power of nature to offer new design possibilities. Modern Meadow’s first brand of biofabricated materials, Zoa™, is inspired by leather and built from the same natural building block, collagen protein, but without the animal. Named as a 2018 Tech Pioneer by the World Economic Forum, Modern Meadow enables new design and performance possibilities and partners with some of the world’s thought-leading brands to transform the material world and design for a healthier planet. 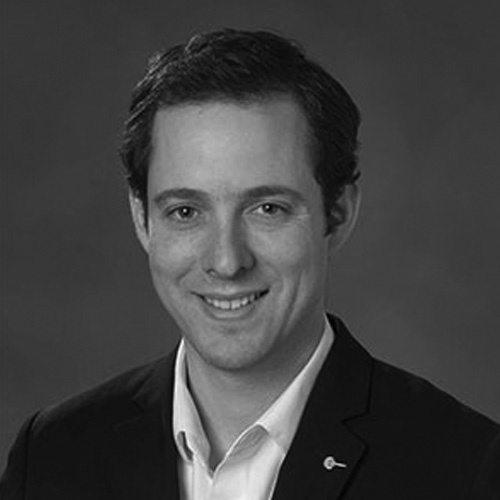 Previously, Andras co-founded Organovo (NASDAQ: ONVO), a pioneer in 3D bio-printing to create human tissue for a range of medical applications. Andras managed an international technology-focused venture fund Richmond Global and was a consultant with McKinsey focused on biopharma and private equity. He is co-founder and chairman emeritus of the Resolution Project focused on social entrepreneurship, a Kauffman Fellow in venture capital and was recognized as “40 under 40” by Crain’s New York. Andras holds an MBA from the Wharton and a Bachelor of Arts with honors from Harvard. He lives in Brooklyn NY and is a proud father of two daughters Alexa and Amelia. Raphael is a pioneer in the world of autonomous mobility. He led a project with the Swiss FederalInstitute of Technology (EPFL) in Lausanne to test and operate one of the first autonomous vehicles inEurope and was actively involved in the European project CityMobil2. Mariana Vasconcelos is the CEO and co-founder at Agrosmart and Board Member at 4lab. Agrosmart brings digital agriculture to developing countries with low Internet infrastructure under tropical agronomic conditions, allowing farmers to make better decisions for a more productive and sustainable agriculture. Mr. Naidu's previous stint as Chief Minister of Andhra Pradesh lasted an entire decade from 1994-2004. He is considered a rare politician and a visionary who pursues his innovation strategies with great vigour and determination. His approach towards development is non-doctrinal and he believes in absorbing good aspects of various development models. An able and efficient administrator, he introduced many market-based reforms in 1995 while also formulating many development programmes. Now, in his third term as Chief Minister, he has set international benchmarks in e-governance. 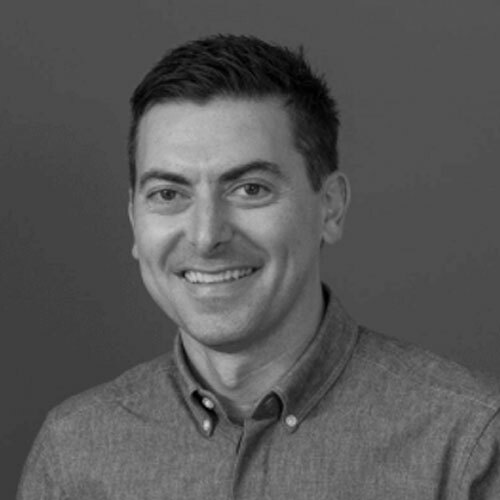 Chris is Head of Sustainability at Foster + Partners. His role allows him to combine his qualifications in Civil Engineering and Environmental Services with his passion of bringing sustainability to design through highly integrated multidisciplinary collaboration. Chris is a yachtsman which allows him to combine his love of technology, and the natural environment with experiencing new local cultures. He is an active Christian and has a particular interest in how all faith communities can work together to benefit mankind and our natural environment. Lead sustainability Partner for the legislative assembly, high court and secretariat buildings within the government complex. These are being designed along a Paris Agreement compliance route and to GRIHA 5-star standard. Government Complex Amaravati, India Lead sustainability Partner for a 550 Ha government quarter for the new state capital of Andhra Pradesh one planet Eco-footprint approach. The master plan includes an integrated dynamic modelling approach to energy, mobility, water, waste and materials reduction and societal issues using a visualisation interface to the architectural 3D drawings. 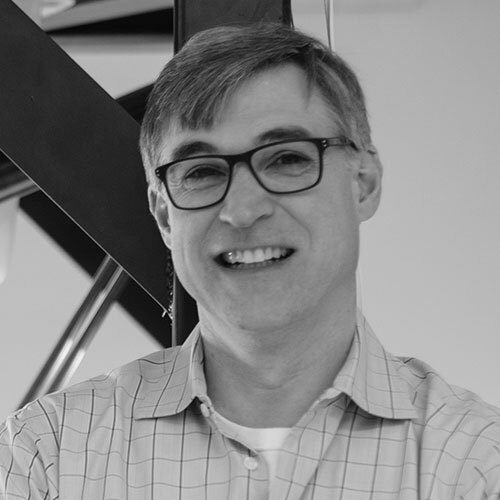 Dr. Chris Luebkeman joined Arup from MIT in 1999 to co-lead the Research + Development group, a collection of 50 of the smartest individuals in the company. His specialties include foresight and the future, public speaking, corporate research, helping businesses, groups of people or individuals to stop to think constructively about what the new normal will be as the context of constant change around us. Richard is Global Head of Infrastructure at KPMG. He has over 20 years' experience in infrastructure policy, governance, strategy and financing, advising both public and private sector clients in the UK and overseas. 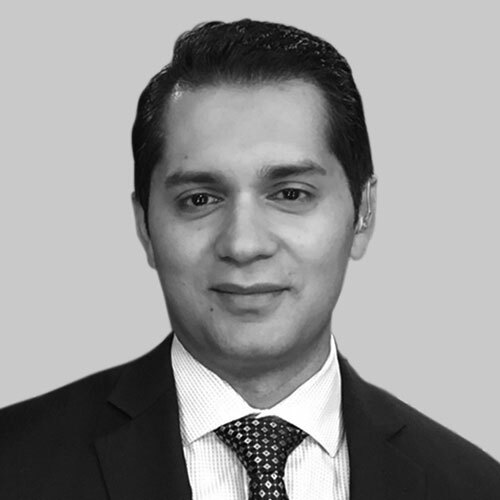 He has a long-standing reputation for leading clients through complex and politically high-profile transactions and providing strategic, financial and governance advice in relation to the delivery of infrastructure services and projects. 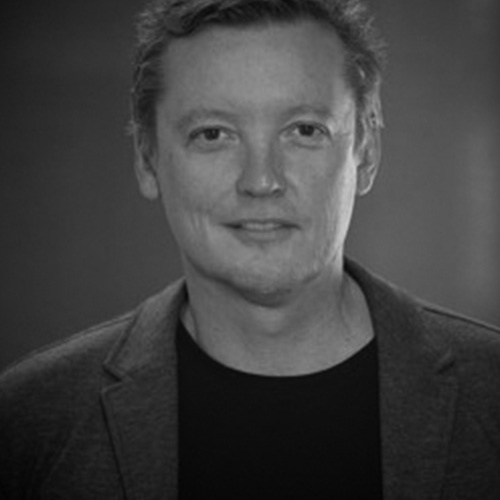 Stephen Cairns is the Director of the Future Cities Laboratory (FCL) in Singapore, Professor in Architecture at ETH Zurich, and Principal Investigator of the Urban-Rural Systems research team at FCL. He is an architect, writer and teacher whose work concerns the interaction of buildings, cities and society. The geographical focus of much of this work Asian megacities such as Jakarta, Dhaka, Kolkata, Chengdu and Shanghai. 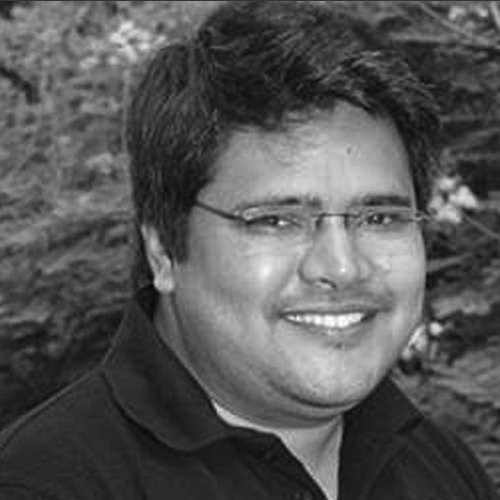 His writing tackles theoretical aspects of urbanisation from an Asian perspective. 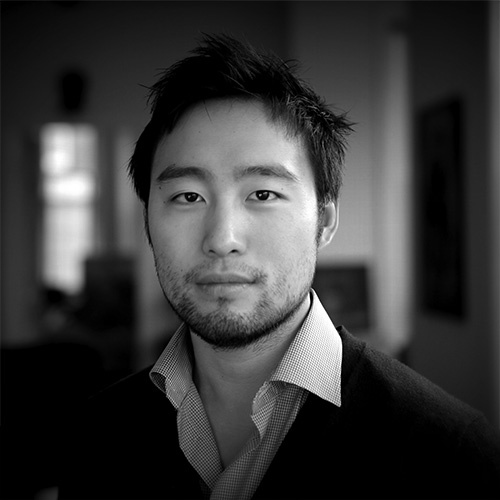 His design work focusses on projects such as the "Tropical Town", a test bed for decentralized technologies to seed integrated development models for urbanizing Asia. Kees Christiaanse studied architecture and urban planning at TU Delft. Kees focuses in his work on urban assignments in complex situations and on guiding of urban processes. He is an expert in the development of university campuses and in the revitalisation of former industrial, railway and harbour areas and is a supervisor of several international urban developments. Raghuram Govind Rajan is an Indian economist and an international academician who is the Katherine Dusak Miller Distinguished Service Professor of Finance at the University of Chicago Booth School of Business. He was the 23rd Governor of the Reserve Bank of India between September 2013 and September 2016. As a member of KPMG?s Global Board and Executive Committee since 2009, Bill has been a leader in defining KPMG?s global strategy. As CEO of KPMG in Canada, he provided leadership and direction for the firm?s business across the country, working with partners and staff to drive KPMG?s strategy and growth. Bill is also a champion in promoting an inclusive and high-performing culture throughout the KPMG network. Bill holds a Bachelor of Science degree from the University of British Columbia and achieved his Chartered Accountant designation in 1992 from the Institute of Chartered Accountants of British Columbia. He was named a Fellow of the Institute in 2008. Dr Prannoy Roy is an Indian journalist and media personality. He is the co-founder and executive co-chairperson of New Delhi Television. He has been adjudged the television personality of the millennium by the Indian Express poll and has contributed to various national and international publications. Dr. Roy has a doctorate in Economics from the Delhi School of Economics and is a Qualified Chartered Accountant from London. Dr. Roy has also served as Economic Advisor with the Ministry of Finance, Government of India. A name to reckon with in the automobile industry, Mr. Anand Mahindra is the Chairman and Managing Director of Mahindra & Mahindra, India largest automobile company, valued at USD 11.1 billion. He single-handedly elevated the Mahindra Group from a mere jeep and truck producing firm to a multi-national entity and the market leader in the UV segment in India. Under his able guidance and leadership, the Mahindra group set international benchmarks for success. He is an alumni of Harvard and has been conferred the Knight of the Order of Merit by the President of the French Republic, the Rajiv Gandhi award in 2004 for his outstanding contribution to field of business, among others. Rakesh Bharti Mittal is Vice-Chairman of Bharti Enterprises, one of India's leading business groups with interests in telecom, agri-food business, financial services and realty, which also has joint ventures with several global leaders – Singtel, AXA, Del Monte, SoftBank and Brightstar. He was recently elected as the President of Confederation of Indian Industry (CII) for 2018-19. A passionate advocate of right to good education and philanthropy, Rakesh is also the Co-chairman of Bharti Foundation with leading initiatives in education and sanitation. Ms Karve is the Global Diversity Leader in PwC. Prior to that, she was the Chief Ethics Officer in PwC’s India Practice. One of the youngest partners to be promoted in PwC, she worked with various large Indian and multinational clients. She took over the Assurance Risk & Quality Leader role in April 2012. She also steered the PwC India Assurance practice as Assurance Leader after 2009. Professor Dutta is a Professor of Management and the former founding Dean of the SC Johnson College of Business at Cornell University, New York. Prior to joining Cornell in 2012, he was on the faculty of INSEAD. Soumitra Dutta is an authority on innovation in the knowledge economy, with a refreshing global perspective. Throughout his distinguished career, he has focused on how to drive business innovation and growth through the right combination of innovative people and technology. An alumnus of IIT Delhi and UC Berkeley, he a member of the privileged "Davos Circle" group of participants who have been invited to the Annual Meeting of the World Economic Forum in Davos for more than 10 years. 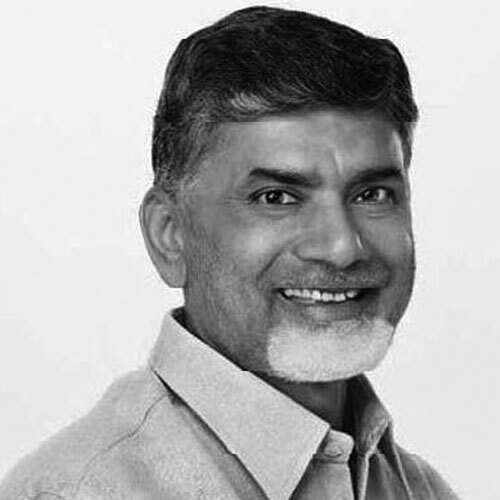 Mr. Naidu is currently serving as Chief Minister of Andhra Pradesh since 2014, having earlier served for a decade from 1994 to 2004. A visionary leader, he has been instrumental in converting a revenue deficit state into a revenue surplus state in just 3 years. An able and efficient administrator, he introduced various market-based reforms in 1995 while also formulating many unprecedented populist schemes. Now, in his third term as Chief Minister, he has set international benchmarks in e-governance and believes in absorbing good aspects of various development models. Brooks serves as Chief Business Officer International for Uber, responsible for business development and the firm’s relationships across Asia Pacific, EMEA and Latin America. He joined Uber in early 2017 and prior to his current role, was the Regional General Manager for Asia Pacific. Previously, he was the CEO of Everstone Capital, a premier India and Southeast Asia focused private equity and real estate investment firm. Prior to joining Everstone in 2014, Brooks was a Partner at Goldman Sachs where he spent 22 years in various capacities, including 15 years based in Asia. Most recently, he was Chairman of Goldman Sachs South East Asia as well as CEO of Goldman Sachs Singapore. Prior to this, he spent 5 years in Mumbai as CEO and Founder of Goldman Sachs India where he was responsible for leading and building the firm across all divisions. He also served as the Founder & Co-Head of Goldman Sachs Asia’s High Technology Group. Earlier in his career, Brooks served as a District Electoral Supervisor with the United Nations Transitional Authority in Cambodia (UNTAC). Brooks holds a bachelor’s degree from Dartmouth College and a master’s degree in Business Administration from Harvard Business School. He is currently a Board member of The Asia Foundation, The Aspen Institute, EmancipAction, Telluride Mountainfilm and Young Life. An avid mountaineer and big mountain skier, Brooks is the oldest American to summit and ski an 8000 meter peak, Cho Oyu in Tibet in 2016. He also summited Everest from the North Side in Tibet in 2017 in a guided climb record 27 days. 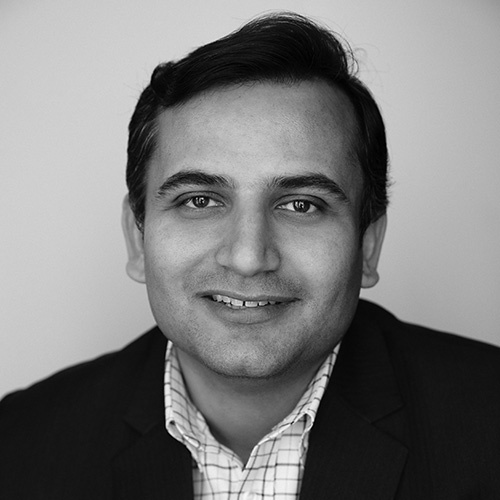 Vishal Lall is Chief Strategy Officer, and Head of Strategy and Venture Investments (Pathfinder) at Hewlett Packard Enterprise. In this role, he works closely with the Board, CEO and the Executive Committee on strategic topics that cut across the company and on those that are specific to various business units. In particular he focuses on the company’s portfolio, M&A, partnership and go-to-market strategies. He also manages HPE’s Pathfinder programme that makes venture investments in emerging, next-gen companies, and incorporates these technologies into HPE solutions. Through TerraCycle, Tom is pioneering new waste management processes to create circular solutions for materials such as cigarette butts, laboratory waste, coffee capsules, personal and oral care waste and even food packaging that otherwise have no path to be recycled. Gary Reader was appointed KPMG’s Global Head of Clients & Markets on 1 October 2017. He previously served as Global Head of Insurance from 2014-2017. His career with KPMG has spanned over 28 years, 25 of which have been focused on the insurance sector – as an audit partner from 1996-2000, consulting partner from 2000-2011 and most recently as a markets partner. In that time he has worked in all three regions of KPMG and his roles and work has taken him to multiple countries. As the Global Insurance Advisory leader (2010 – 2013) and a member of the European and Global Insurance leadership teams, Gary is responsible for supporting all efforts to maximize presence in the European and Global insurance marketplace, identifying and closing advisory opportunities. His personal delivery experience lies in the area of financial management services, and having set up the financial management practice in the UK he has led a number of financial transformation projects for our firms’ insurance clients. As the leader of the global IFRS initiative from 2009-2012, Gary was responsible for delivering major IFRS and US GAAP conversion projects to financial service organizations, as well as working with global insurers to convert their global challenges into business opportunities. Most recently, Kumar served as the Assistant Secretary of Commerce for Global Markets and Director General of the U.S. and Foreign Commercial Service in the Obama Administration. He led the trade and investment promotion efforts for the U.S. Government and served as the International Trade Administration's lead official advocating for better market access for U.S. exporters. He travelled to thirty countries around the world, engaging with senior Government and business leaders. Before his tenure in public service, Kumar was a Partner and member of the Board of Directors at KPMG, LLP. He led the firm's West Coast Management Consulting practice serving major global clients as well as emerging Silicon Valley ventures while creating thought leadership to advance business practices in financial management. He led a number of landmark complex transformation engagements for global clients involving shared services/outsourcing, offshoring, business intelligence and analytics, core process improvements and organizational transformation. He also founded and led KPMG's US-India practice. Kumar has authored a book of poetry, "Plain Truths" (2010), and co-edited a book,"Kerala's Economy: Crouching Tiger, Sacred Cows" (2007). Kumar received his Master's degree in Management from the Sloan School of Management, Massachusetts Institute of Technology and a Bachelor's degree in Physics from the University of Kerala, India. He started his career in India as a member of TAS, the central management cadre of the Tata Group. Ms. Stubbings is the joint global leader of PwC’s People and Organisation practice. She is based in London, and regularly talks and writes about Talent, Innovation, Diversity and the Future of Work. Carol has over 25 years of experience working with large multinational organisations. Mr. Banmali Agrawala is the President, Infrastructure and Defence & Aerospace at Tata Sons. Prior to this, he was President and CEO of GE, South Asia. A veteran in the Energy domain, Mr Agrawala has over 30 years of global experience. An alumnus of Harvard Business School, he is also an active member of the Confederation of Indian Industries (CII)and the US - India Business Council (USIBC). Marietje Schaake is a Dutch politician and has been serving as a Member of the European Parliament since 2009. She is a member of D66, a part of the Alliance of Liberals and Democrats for Europe (ALDE) political group. She is Coordinator on the International Trade committee, where she is the ALDE spokesperson on transatlantic trade and digital trade. Schaake also serves on the committee on Foreign Affairs and the Subcommittee on Human Rights. She is the Vice-President of the US Delegation and also serves on the Delegation to Iran and the Arab peninsula. Furthermore, Schaake is the founder of the European Parliament Intergroup on the Digital Agenda for Europe. In 2017 she was Chief of the European Union Election Observation Mission in Kenya. Since 2014, Schaake has been a ‘Young Global Leader’ with the World Economic Forum and she was recently appointed as Co-chair of the WEF Global Future Council on Agile Governance. Schaake is a Member of the Transatlantic Commission on Election Integrity, the Global Commission on the Stability of Cyberspace and Chair of the CEPS Taskforce on Software Vulnerability Disclosure in Europe. Furthermore, she is a member of the European Council on Foreign Relations and an advisor to the Center for Humane Technology. Schaake was featured by Politico as one of the 28 most influential Europeans in the ‘Class of 2017’. Mr. Naidu is the Chief Minister of Andhra Pradesh, India. Previously, he served as Chief Minister of Andhra Pradesh from 1994 to 2004. Mr. Naidu is known for emphasizing modern Information Technology and for making Hyderabad city an IT hub in the country. He laid the ground for creating large human capital by providing elementary education on a massive scale and succeeded in churning out 100,000 of engineers every year from Andhra Pradesh. His focus is on health, employment opportunities and basic needs for all and gives an impetus to farmers, weaker sections of the society and minorities by introducing many developmental schemes. Mr. Naidu paved the way for the creation of women’s self-help groups to tackle socio-economic poverty in villages. Mr. Naidu has won a number of awards, including IT Indian of the Millennium from India Today, Business Person of the Year by The Economic Times, South Asian of the Year from Time Asia and membership in the World Economic Forum’s Dream Cabinet. He has been described as one of the “hidden seven” working wonders around the world by Profit (Oracle Corporation’s monthly magazine). 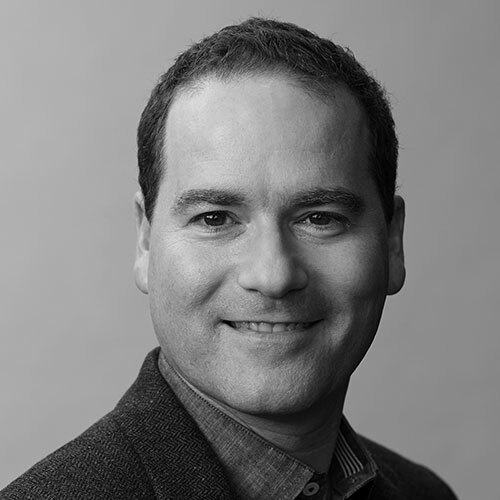 Mr. Mitchell is the Founder Director of the Global Canopy Programme in Oxford and Senior Adviser to Ecosphere Plus (E+), an impact investment and marketing company specialising in environmental assets. He is an international thought leader on tropical forests, climate change and natural capital. He has extensive field experience in Asia, Africa and Latin America, across a forty-year career spanning scientific research, conservation and finance for forests. Mr. Mitchell works to demonstrate the scientific, political and business case for safeguarding sustainable forests and landscapes as natural capital that underpins water, food, energy, health and climate security for all. Under his leadership, GCP has strongly advocated for a halt to the global destruction of rainforests and inclusion of Reducing Emissions from Deforestation and Degradation (REDD+) in the UN climate regime. Mr. Sire is Director of the Company Engagement Department at BNP Paribas. He was Assistant to the Director for Communications and Regional Action of the French Association of Banks - now FBF - from 1992 to 1995, then Communications Director of the Confédération Nationale du Crédit Mutuel. For 16 years, he was Head of Group Communications for BNP Paribas, where he created the company’s new brand following the merger of BNP and Paribas, and developed its strong reputation. He also played a key role in developing the brand’s international recognition and broadened its social commitments. For 13 years, he co-hosted BFM Business’s radio programme dedicated to new technologies called Atelier Numérique. In 2013, he left BNP Paribas to focus on a long-term personal project, writing a historical book on Hollywood’s Golden Age actresses, published in 2016. 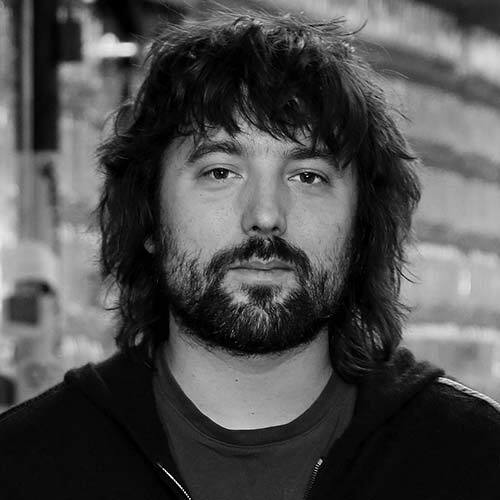 In parallel, and since 2015, he has been Partner at Havas’s Paris agency. Mr. Sire graduated from IEP (Institut d’Etudes politiques) Paris and holds a degree in Public Law. Mr. Sachet is the CEO of TFT (The Forest Trust). He began at TFT as a member manager before becoming a director in 2011. His background and experience in business and agriculture are well linked to TFT’s work between the two worlds of business and nature. He has helped to coordinate TFT’s palm oil strategy, heading teams in France, Switzerland and Africa, and launching new TFT initiative Rurality, which aims to empower smallholder farmers. Prior to joining TFT in 2006, he worked for several years in Brazil, Australia, England and Argentina, where he led product and sales teams in logistics and agro-business for Hamburg-Sud and the Roullier Group respectively. In 2000, Mr. Sachet graduated in agricultural engineering from the Institut National Agronomique Paris-Grignon (Agro Paris Tech). He then completed his postgraduate degree in marketing and strategy at the University of Paris IX Dauphine. Ms. Herrmann is the Founder of Topan AG. She has over 26 years of experience in several partner roles and executive directorships in commodity trading, investment banking and consulting, corporate finance, institutional client relations, management coaching and human resources management. Prior to establishing Topan in 2011, she held an executive role with the leading asset manager in the Socially Responsible Investing, working in alignment with environmental, social and governance standards. She also held a board seat of an affiliate of the globally leading provider of green investment expertise and climate-neutral and water services and was a Chairman of a charitable trust. She brings to Topan a wealth of experience in investment selection, investment guidance as well as a multiyear expertise in growing and scaling businesses on a global level with different methods of designing deals to best match available capital solutions. Ms. Herrmann was a finalist at the Enterprising Women of the Year Awards in 2014 and is a certified member of UnitedSucces, the worldwide network of women business owners. As Head of Engagement Transformation in the BNP Paribas Group Company Engagement team, Ms. Yu leads transversal projects to accelerate business decision making based on the Group's sustainability commitments in line with UN SDGs by coordinating and assisting in positive banking business origination and employee engagement. Prior to this, Gwen led strategy consulting projects for BNP Paribas' Corporate and Institutional Banking. She was also the subject matter expert for transfer pricing related matters for Securities Services and Retail Banking Services. She has been with BNP Paribas since 2010. Before joining BNP Paribas, She advised European and North American firms on market entry strategies, corporate philanthropy, and brand management in Asia (primarily China). 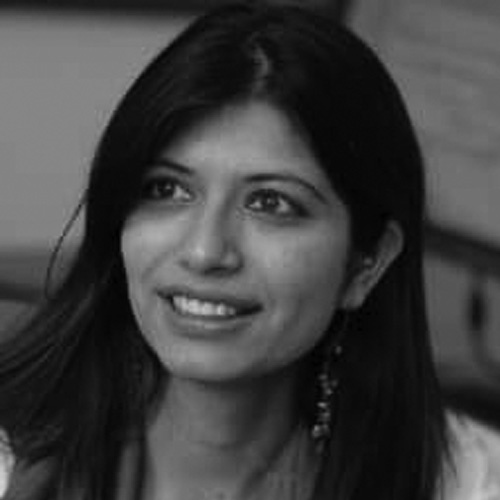 She has worked for a variety of professional services firms, including PricewaterhouseCoopers, Edelman and Deloitte & Touche and her clients have included companies in financial services, tech, FMCG, automotive, and pharmaceuticals. Mr. Manzanares is CEO a.i. at the Green Climate Fund. Previously, he was Director and Representative of UNOPS in the MERCOSUR region, based in Argentina. He was formerly Division Manager of Investment and Development Banking at the Central American Bank for Economic Integration. Mr. Manzanares also worked as the Executive VP for two privately held banks of Grupo Fierro. His career in banking and finance began with Banco Santander/BSCH in the United States, Hong Kong and Japan. He holds a dual MBA from Northwestern University / Kellogg (USA), an EMBA from Hong Kong University of Sciences & Technology (China), and is currently a Ph.D. candidate at INHA University in South Korea. Mr. Oorthuizen is the CEO of The Sustainable Trade Initiative (IDH). In 2015 he was listed number 61 out of the 100 top sustainability drivers in the Netherlands on the “Sustainable 100” ranking by Trouw, a major Dutch newspaper. He is also the Board member of & GreenFund where he played a key role in incorporating it. Before that, he was a Senior Consultant at Twynstra Gudde, a leading management consultancy firm in the Netherlands. From 1998-2007 he was a Change Management Consultant at Faktor Management and Learning Consultants in Rotterdam. Mr. Oorthuizen is a member of the Advisory Board of Worldconnectors and Board Member of the Grow Africa Initiative, which was founded by the African Union (AU), the New Partnership for Africa's Development (NEPAD) and the World Economic Forum in 2011. Mr. Pandjaitan is the Coordinating Minister for Maritime Affairs of Indonesia. He has served as the Chief of Staff of the President from 2014 to 2015. Prior to entering the Working Cabinet, Mr. Pandjaitan served as Minister of Industry and Trade from 2000 to 2001. In 2001 he established Del Informatics Polytechnic in Sitoluama Village, Toba Samosir. Mr. Pandjaitan has a Master’s in Public Administration from George Washington University and is a graduate of the National Defense University, USA. During his military career, he was known as the first Commander of Detachment 81 and held various key positions including; Commander of Group 3 Kopassus, Commander of the Infantry Armory Center (Pussenif), and Commander of Education and Training (Kodiklat) of the Army. As a middle-ranking officer, his experience of practicing in the world’s best special forces units enabled him to establish and become the first Commander of Detachment 81 (now Sat-81 / Gultor) of Kopassus red beret unity, which is one of the world’s best counter-terrorism forces. Ms. Agha is Head of Outreach at UNEP Inquiry. She has a long career of international experience in the field of sustainable development. She was head of Communications at the International Renewable Energy Agency (IRENA) and Chief of External Relations for the Environment Finance Group of the United Nations Development Programme. Previously she has worked with UNEP, UNDP, the World Health Organisation�s GAVI program, the Global Environment Facility. Professor Sutton is Chairman of the International Nitrogen Initiative and Director of the International Nitrogen Management System. His work spans a wide range of disciplines from micrometeorology and atmospheric chemistry to plant ecology and policy analysis. The largest aspect of his work has concerned the measurement of ammonia biosphere-atmosphere exchange with terrestrial ecosystems, resulting in new conceptual and quantitative models. In recent years, he has focused on developing the links between ammonia and other nitrogen compounds in the environment, advising and coordinating several programmes on transboundary air pollution, regional nitrogen assessments, and nutrient management and policy, including with UN Environment and UN-ECE. He received his PhD from the University of Edinburgh. Dr. Hadad is the Ambassador to Switzerland and Liechtenstein from Indonesia. He was Chairman of Indonesia Financial Services Authority from July 2012 - July 2017. Prior to that, he served as one of the Deputy Governors of Bank Indonesia. During his period of service at Bank Indonesia, Dr. Hadad held various positions; among them were Head of Financial System Stability Bureau and Director of Banking Research and Regulation. Dr. Hadad also serves as the Chair of the Indonesia Sharia Economic Community, Indonesia Economist Association and teaches at several universities in Jakarta, Indonesia. He writes numerous books and journals and holds a Bachelor Degree in Economics from University of Indonesia and a Master of Public Administration from John F. Kennedy School of Government, Harvard University. He earned his Doctorate Degree on Business and Economics from Monash University, Australia. 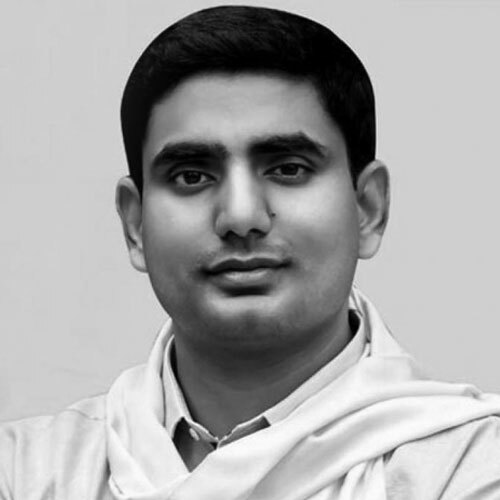 Lokesh Nara serves as the Minister for Information Technology, Panchayati Raj and Rural Development in the Andhra Pradesh Cabinet. By taking several radical decisions in the Rural Development sector, he has accelerated the reach of development benefits including roads, LED lighting, water piping, etc. to the remotest of villages across the state. His timely intervention and concrete measures to alleviate the summer water crisis in rural regions won him praise from all. He is well regarded for his proactive administration, intense knowledge gathering in relevant subjects and active grievance redressal via multiple media. Mr. Sukhdev is the President of WWF International and CEO of GIST Advisory. He was awarded the 2011 McCluskey Fellowship by Yale University as well as the 2013 Gothenburg Award for Sustainable Development. Earlier, he was Special Adviser and Head of UN Environment’s Green Economy Initiative and lead author of their “Green Economy Report”, as well as Study Leader for the G8+5 commissioned project on The Economics of Ecosystems and Biodiversity (“TEEB”). A career banker, Mr. Sukhdev took a sabbatical from Deutsche Bank to lead these two environmental projects for UN Environment. While at Deutsche Bank, Mr. Sukhdev had founded and then chaired Global Markets Centre – Mumbai. Mr. Sukhdev is a UN Environment Goodwill Ambassador and founder and author of “Corporation 2020”, a campaign and a book which envisions tomorrow’s corporation, showing how corporations and society can and should work together to achieve common goals and build a green economy. Mr. Selvanathan is the CEO of Bluenumber, a traceability solution for palm oil and garments from the farmer and worker level upward, and is also President of the UN Global Compact Network in Malaysia. He was formerly a UN Special Rapporteur on Business and Human Rights appointed by the UN Human Rights Council (Geneva), Head of Food & Agriculture at the UN Global Compact (New York), and then Head of the International Trade Centre (New York), a joint agency of the UN and WTO. Before joining the UN, he was Group Chief Sustainability Officer at Sime Darby, a Malaysian diversified conglomerate. An Architect by profession, Mr. Selvanathan holds an MBA and a DBA in Corporate Strategy and Sustainability. Dr. Prabhu joined the World Agroforestry Centre (ICRAF) as Deputy Director General (Research) in January 2012. As well as his responsibilities to oversee the whole research programme, he is also a member of the Centre's Senior Leadership Team. He was previously a Senior Programme Officer, Forests and Climate Change with the United Nations Environment Programme (UNEP) in Nairobi. He led the UNEP team that contributed to the UN-REDD Programme mainly by supporting countries to realize multiple benefits from REDD+, and to use REDD+ as a catalyst to transform to a green economy. Prior to that, he coordinated the Regional Plan for Collective Action in eastern and southern Africa. He has served on numerous international initiatives and committees, including the Millennium Ecosystem Assessment where he served on the review and editorial team, and the UN Millennium Projects Taskforce 6 on Environmental Sustainability. He received the Queen's Award for Forestry at Buckingham Palace in 2005. Mr. Heuberger is the CEO of South Pole Group and a social entrepreneur in the field of sustainability, climate change and renewable energies. He co-founded the World Student Community on Sustainable Development and the platform for interdisciplinary projects Seed Sustainability. In 2002, he founded the Swiss myclimate foundation. As a founding partner and CEO of South Pole Group, he coordinated the set-up of South Pole Group’s global presence, winning the company the title of Best Project Developer by Environmental Finance magazine between 2011-2015 and enabling the first-ever issuance of Gold Standard certificates, the first issuance of Social Carbon offset certificates in Southeast Asia and the first Voluntary Carbon Standard forestry project in South America. Mr. Heuberger is board member of Climate-KIC, Climate Friendly Pty Ltd, Perenia Pty Ltd, and of Respect Climate in Sweden. In 2014, he was elected as Member of the Global Agenda Council on Climate Change of the World Economic Forum. Mr. Tripathi is Assistant Secretary-General and Head of the New York Office of UN Environment. A development economist and lawyer with over 35 years of experience, Mr. Tripathi has served with the UN since 1998 in Europe, Asia and Africa on strategic assignments in sustainable development, human rights, democratic governance and legal affairs. He previously served as the Director and Executive Head of the UN Office for REDD+ Coordination in Indonesia, as well as UN Recovery Coordinator for the US$ 7 billion post-tsunami and post-conflict recovery efforts in Aceh and Nias. He also served as Chair of the Committees on Laws and Treaties for the UN-mediated Cyprus unification talks in 2004. Earlier in his career he served as a Senior Distinguished Fellow on Natural Resources Governance with the World Agroforestry Centre; and on the World Economic Forum’s Global Advisory Council on Forests. Mr. Kumar is Advisor to the Government of Andhra Pradesh on Agriculture and Cooperation, Vice Chairman of Rythu Sadhikara Samstha and Head of the ZBNF programme. A Physics honor student and a MBA from Faculty of Management Studies, Delhi University, he joined the Indian Administrative Service in 1983. His most significant assignment was a record 10 years posting as CEO for the Society for Elimination of Rural Poverty (S.E.R.P) from 2000 to 2010, where he was responsible for implementing a state wide programme of poverty eradication through social mobilization and empowerment of women. The programme with an outlay of over $400mn covered all villages in the state of Andhra Pradesh and till 2010 had organized 10 million rural poor women in thrift and credit based self-help groups (SHGs), and their federations. Mr. Kumar was also on deputation to the Government of India for 5 years from 2010 to 2015, as the first Mission Director of the National Rural Livelihoods Mission (N.R.L.M). He is leading the implementation of the climate resilient Zero Budget Natural Farming project in Andhra Pradesh. Ms. Diamond is CEO and Founder of Women’s Entrepreneurship Day Organization (WEDO), a non-governmental philanthropic volunteer organization with chapters in 144 countries and 112 Universities/Colleges to empower women in business to alleviate poverty. 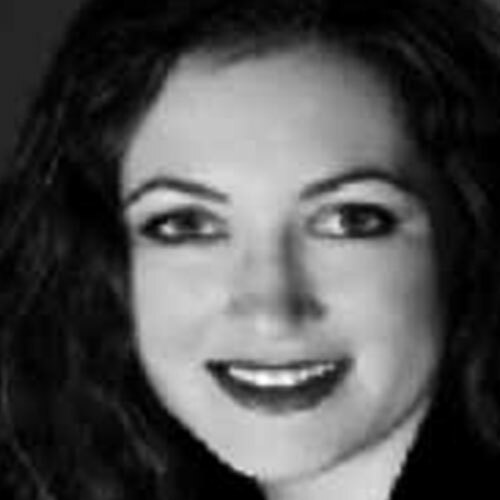 She is an Investor/Advisor in social impact disruptive technologies and women led businesses in Health Sciences, Artificial Intelligence, Blockchain Technology, Fintech and Virtual Reality, including Producers Market, RISE Wealth Technologies, IPWE, Blocktower Investments, Infinigon Group, SAFE Health App, Redeem Global, Farma Trust, Altair Breathometer, Simply Vital and Snakt. Ms. Diamond has authored 10 widely-celebrated books, garnered Three Guinness World Records, and has appeared in media outlets including Oprah, NBC’s Today Show, The New York Times and Forbes. She has been also been a featured keynote speaker at the United Nations, Harvard University and Davos. She is on the Advisory Boards of Ellis Island Honors Society, Global Women in Blockchain, Social Innovation Summit, Humane Society of New York and Grey Muzzle Foundation. Prior to WEDO, she founded Animal Fair Media, Inc., the premiere pet lifestyle media platform. Mr. Krishnudu is Minister for Finance and Planning, Commercial Taxes, Legislative Affairs in the Government of Andhra Pradesh. He has also served as the Speaker of the Andhra Pradesh Legislative Assembly from 1995 to 1999. He holds a degree in LL.B. from Sagar University in Madhya Pradesh a Master’s Degree in Arts. Mr. Müller is the study leader of “The Economics of Ecosystems and Biodiversity for Agriculture and Food” and Chair of the Steering Committee. From 2006 until June 2013 he served as Assistant-Director General of the Food and Agriculture Organization of the United Nations (FAO). The Secretary-General of the UN nominated him as a member of the Advisory Group on Energy and Climate Change (AGECC) in June 2009 to advise him on the energy-related dimensions of the climate change negotiations. Mr. Müller was chair of the United Nations System Standing Committee on Nutrition (UNSCN) from 2008 to 2011. Before that, from 2001 to 2005 he was State Secretary in the Ministry for Consumer Protection, Food and Agriculture in the Federal Republic of Germany. He was also member of the Parliament of Hessen and served inter alia as chair of the caucus and member of the budget committee from 1995 to 2000. Between 1992 and 1995, Mr. Müller was appointed as state secretary in the Ministry of Youth, Family Affairs and Health in the State of Hessen. Dr. Piccard is the initiator and visionary behind Solar Impulse, the very first airplane capable of flying perpetually without fuel. With his dual identity as a medical doctor and explorer, he is an influential voice heard among the most distinguished institutions across the globe as a forward-thinking leader in progress and sustainability. He conceived the Solar Impulse project to raise public awareness and encourage political actions in favour of clean technologies and energy efficiency. A doctor, psychiatrist and aviator, Mr. Piccard was the first person to fly non-stop around the world in a balloon. He is President of the Winds of Hope humanitarian foundation through which he created the “No-Noma International Federation” to coordinate the eradication of Noma, a disease symbolic of deep poverty, caused by malnutrition and lack of hygiene. He has also been appointed Champion of the Earth and United Nations Goodwill Ambassador for the Environmental Program (UNEP). Also an author, Dr. Piccard wrote several best sellers and aims to use his pen as a tool to inspire readers to greatness in their own lives. Mr. Møller is Director-General of United Nations Office at Geneva (UNOG). He has over 35 years of experience as an international civil servant in the United Nations. He began his career in 1979 with the Office of the United Nations High Commissioner for Refugees and worked with UNHCR in different capacities in New York, Iran, Mexico, Haiti and Geneva. Between 1997 and 2001 he was the Head of the Office of the Under-Secretary-General for Political Affairs at United Nations headquarters; between 2001 and 2006 he was the Director for Political, Peacekeeping and Humanitarian Affairs in the Office of the Secretary-General, while serving concurrently as Deputy Chief of Staff for the last two years of that period. Mr. Møller also served as the Secretary-General’s Special Representative for Cyprus from 2006 to 2008 and was the Executive Director of the Kofi Annan Foundation from 2008 to 2011. Born in 1952 in Copenhagen, Mr. Møller completed a Master’s course in International Relations at Johns Hopkins University and a Bachelor’s degree in International Relations from the University of Sussex, United Kingdom. Mr. Sharma is the Founder and CEO of Paytm Mobile Solutions Private Limited. He founded One97 Communications Ltd in 2000 and serves as its Chairman, Managing Director and CEO. He is a Partner of One97 Mobility Fund. He serves as an Advisor of Socialblood.org and has more than 10 years of experience in the telecom and new media industries, having founded his first venture XS Corps while he was at college. Prior to founding One97 Communications, Mr. Sharma played key roles in a number of organizations such as Riverrun Software Services Group Limited, Inter Solutions Software Private Limited, Startec Global Communications Limited, focusing on the design and development of various products and applications for the technology, media and telecom industries. He serves as the Chairman of MobiSwipe Technologies Pvt Ltd, Chairman of Paytm Payments Bank Limited., and Member of Advisory Board of Milaap Social Ventures India Pvt. Ltd. Mr. Sharma holds a Bachelor’s degree in Engineering from Delhi College of Engineering. Prof Robert J Shiller serves as a Sterling Professor of Economics at Yale University and is a fellow at the Yale School of Management's International Center for Finance. He was awarded the Nobel Prize for Economics in 2013. He is also the co?founder and chief economist of the investment management firm MacroMarkets LLC. Vishnu Som is an Indian journalist, a defence editor and anchor with New Delhi Television (NDTV). Som has reported extensively on war, conflict, aviation and natural disasters. In 2012, he was awarded the best Television Presenter in India by the News Television Awards. Mr. Deora has been Chief Financial Officer and Senior Vice President of One97 Communications Limited since October 6, 2016. Mr. Deora has been Chief Financial Officer and Senior Vice President of Paytm Mobile Solutions Private Limited since October 6, 2016. Mr. Deora is responsible for building and managing Paytm's newly formed financial services business. Mr. Deora has over 17 years of experience in investment banking and served in Citi's investment banking business as Managing Director. He joined Salmon Smith Barney, which was later acquired by Citicorp to form Citibank. He is known for helping JustDial with its IPO in 2013 and led the fundraising discussions for Paytm with Alibaba in 2015. He studied economics at Wharton. Marvin Cole is the co-founder, Chairman and CEO of Ovamba Solutions, Inc. (www.Ovamba.com) Ovamba is an award winning Inventory Supply Chain Management / FinTech company that creates culturally attuned technologies and financial services to formal and informal Merchants and Manufacturers in Emerging Markets. Ovamba’s solutions promote SME growth and local wealth creation by blending Sharia compliant structures with eCommerce, supply chain, logistics support, and voice based computing in local traditional languages across Africa and Asia. Mr. Cole oversees enterprise wide strategy, growth, implementation and innovation. In June of 2018, Ovamba was selected by the World Economic Forum as a Global Technology Pioneer, securing a 2-year Ambassadorship and a place at the prestigious “Davos Summit” conference. Mr. Cole leads the global team in the design of globally recognized, award winning, innovative products that uniquely resolve the key impediments to growth for Emerging African and Asian businesses, and farming communities. He and his co-founders have created proprietary risk models for African SMEs that consider, culture, ethnicity and over 2000 more data points than most traditional finance institutions. Mr. Cole is a McKinsey & Company alum where he managed teams in their Johannesburg and Lagos offices. Prior to McKinsey, He was the co-founder of Praxis Asset Management and Praxis Management Advisors, boutique investment management consultancy firms that focused on emerging markets. He has served as an M&A and Financial Services consulting advisor with Deloitte where he designed credit card business processes and pre-payment methodologies for emerging market merchants and the non-traditionally banked. Clients have relied upon Mr. Cole to take the lead on many successful projects: corporate divestiture projects that resulted in the successful sale of these entities to private equity firms, the restructuring of a $1 billion REITS, advising on ForEx hedging and trading, leveraged buyouts and recapitalizations in Brazil, United States, Southern Africa and Northern China, and the growth acquisition of ebusinesses in emerging markets by US firms. He has also served as consultant to a $55 billion US credit issuer on the outsourcing of the servicing of its $5 billion special loan portfolio. ‘The Rise of the African Consumer - Mckinsey's Africa Consumer Insight Center’ and ‘China, Africa, and the African Diaspora: Perspectives from the Diaspora’. 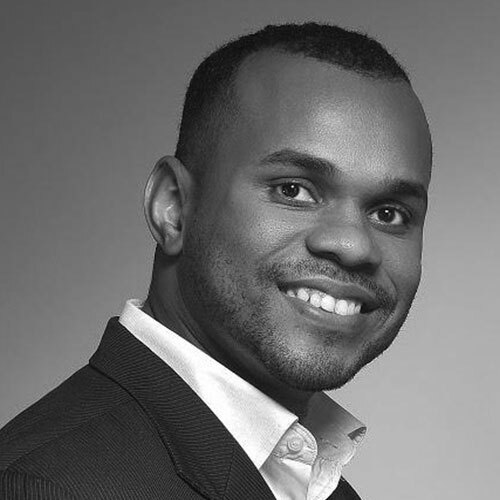 Marvin Cole is a global nomad and can typically be found growing companies and economies in Africa, the GCC and ASEAN. 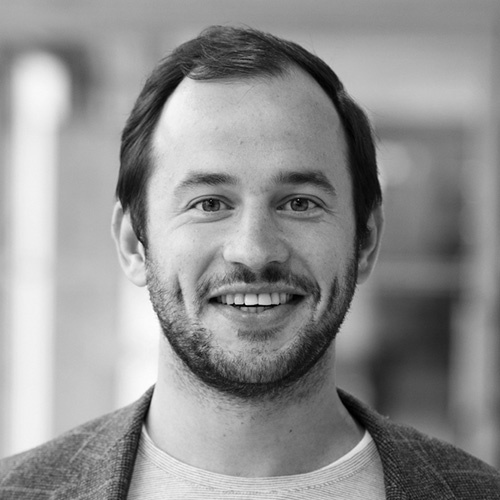 Markus Mutz is the incoming CEO of OpenSC and one of the founding team members of this profit for purpose venture co-founded by WWF and BCG Digital Ventures. As a Director at BCG Digital Ventures he was part of the founding team of DV in Asia. Prior to that he spent 5 years at BCG, specializing in retail supply chains, and worked for the World Food Program.